Since 1991, the Grauer School remains steadfastly committed to reframing academic leadership and excellence one student at a time. Our academic programs are offered within a whole-child, humanitarian approach to education that sets us apart from the many independent, private and public schools in Southern California. In addition to outstanding academics, our students complete 50 hours of demonstrable, humanitarian or ecological community service, and five weeks of Expeditions before graduation. Successful Grauer School students also complete the “a-g” admission requirements of the University of California. In the process, they have the opportunity to participate in enrichment far beyond what is available in most public or private schools nationwide. Our courses are approved by the UC eligibility system and also meet the criteria for NCAA (collegiate) sports participation. We are also fully accredited by the Western Association of Schools and Colleges (WASC). Reframing academic leadership means meeting (and generally exceeding) all requirements for graduation in the State of California and for acceptance into the University of California (“a-g requirements”). Our college preparation programs prepare students for their universities of choice, as well as the wide world beyond any formal classroom walls and educational curricula. Honors course work is offered in all academic and elective subject areas upon approval of the principal and guidance counselor. 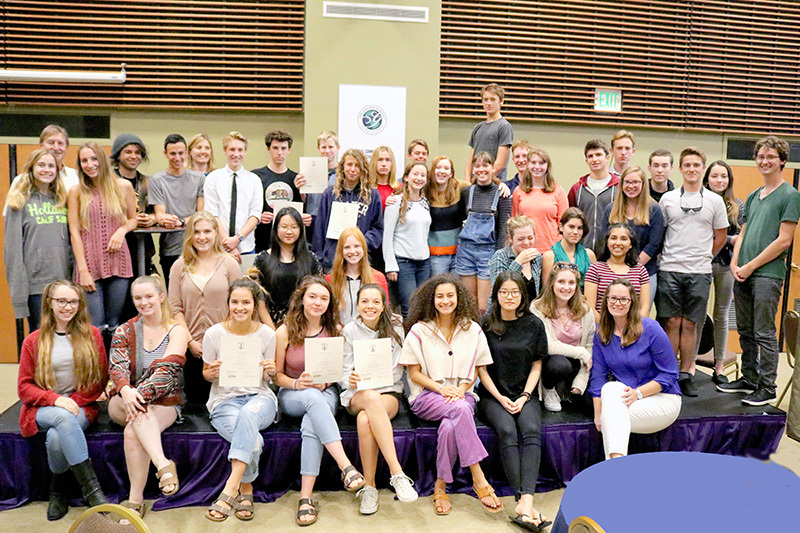 Honors courses represent the highest academic challenge at The Grauer School, and they are also valued highly by all universities. In advanced college preparation programs, honors work substantially enriches the regular curriculum. Our students probe subjects with greater depth; students develop personal passions and a higher level of independent scholarship. This is why we offer our honors college preparation programs instead of standard AP courses, which are comparatively rigid yet receive equal credit. Students wishing to obtain college credit may also be placed in concurrent enrollment at a nearby college. Membership into the National Honor Society is an honor bestowed to students who exhibit outstanding scholarship, service, leadership, character and citizenship. Our specific eligibility requirements include a minimum cumulative grade point average of 3.75 (unweighted), a minimum of 12.5 hours of community service per year, and being an excellent role model in the school and community. As a part of our schoolwide character education, members have the responsibility to continue to demonstrate these qualities. California Common Core curriculum is a public school construct not required, or always advisable, for independent schools. However, we generally align with, and even manage to derive inspiration from it. The Grauer School follows the frameworks set forth by the California Common Core curriculum. This framework was developed by the California Department of Education, and it is aligned to both Common Core and the Next Generation Science Standards (NGSS). This includes integrated learning and writing, extended conversation, project-based learning, and inquiry-based learning. All of our adopted textbooks have been approved by the State of California to follow these frameworks. The Grauer School also follows all mathematics curriculum frameworks. However, we divide our high school mathematics progression into Algebra 1, Geometry, Algebra 2, Precalculus, and Calculus, rather than a series of Integrated Math classes. Classes are on a modified block schedule where students attend 2 two-hour sessions of integrated subjects each morning, which include a humanities block with English and Social Science, and a technologies block with Physical/Biological Science and Math. Our afternoon classes are divided into two elective periods, one for 50 minutes, and the following 100 minutes. Final exam weeks are held each semester (at the high school level). 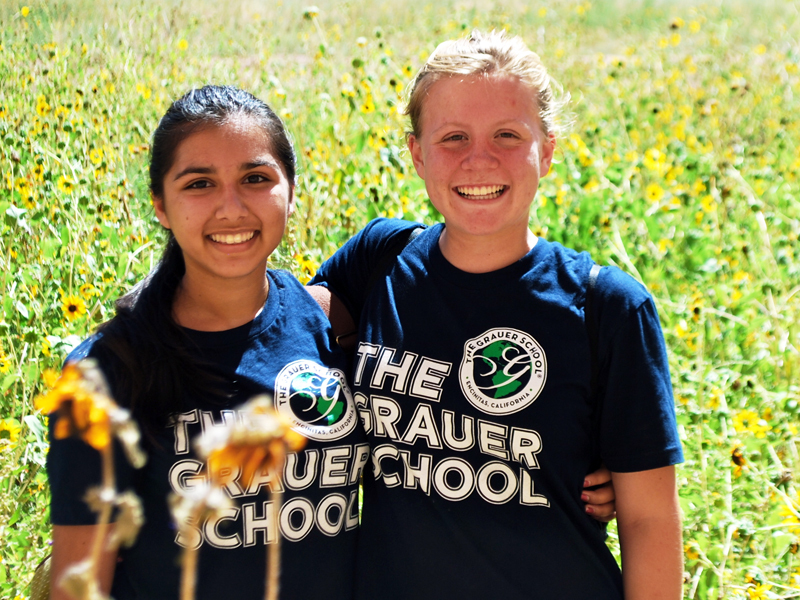 The Grauer School also offers an open-enrollment six-week summer session for students across the community needing academic coursework or desiring enrichment opportunities. The small schools movement facilitates a higher level of teacher-student involvement, instructional quality, and democratic participation than traditional classroom settings in large schools allow, which has resulted in positive gains in student academic achievement and behavior. The small schools movement also increases personal bonds between learners, educators and curriculum, as well as the empathetic response necessary for selfless community involvement. The Grauer School is proud to be one of the best small schools in the world and to welcome educators, researchers and other visitors from all parts of the globe who study our methods as the basis for a small schools movement in their home nations. 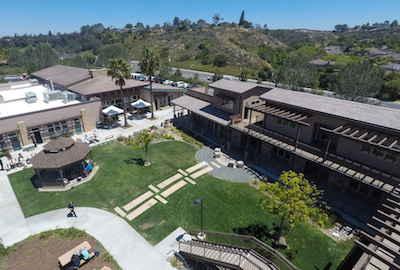 The Grauer School in Encinitas is dedicated to cultivating outstanding academic achievers who are ready to assume their roles as equally outstanding social leaders in our diverse, continually evolving global community. Our commitment to reframing academic leadership requires the constant infusion of new, excited, and eager minds to our existing school family. If you and your middle or high school-aged child are interested in learning more about The Grauer School in Encinitas at any time of the year, we would love to hear from you!